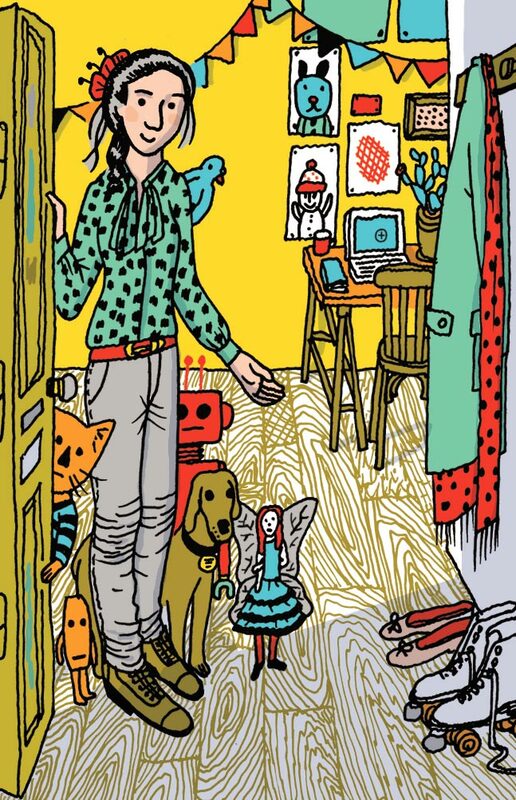 Since graduating from the Ecole Nationale Supérieure des Arts Decoratifs, Paris in 2004, Sandrine Martin has been publishing her illustrations in books and in the press. She has worked for Le Monde, Libération, Psychologies Magazine, Bayard and Gallimard among others. She also regularly contributes short stories to the comic strip magazine Lapin by L’Association. In 2012 she published the collection of drawings “La Montagne de sucre” (L’Apocalypse); in 2014, she illustrated a biography of the artist Niki de Saint Phalle by Dominique Osuch (Casterman); and in 2015, Martin published a collection of illustrated short stories entitled “Petites Niaiseuses” (Misma).